John Riley reviews the new Tamron 18-400mm, the super zoom with the World's most optical zoom in a DSLR lens. 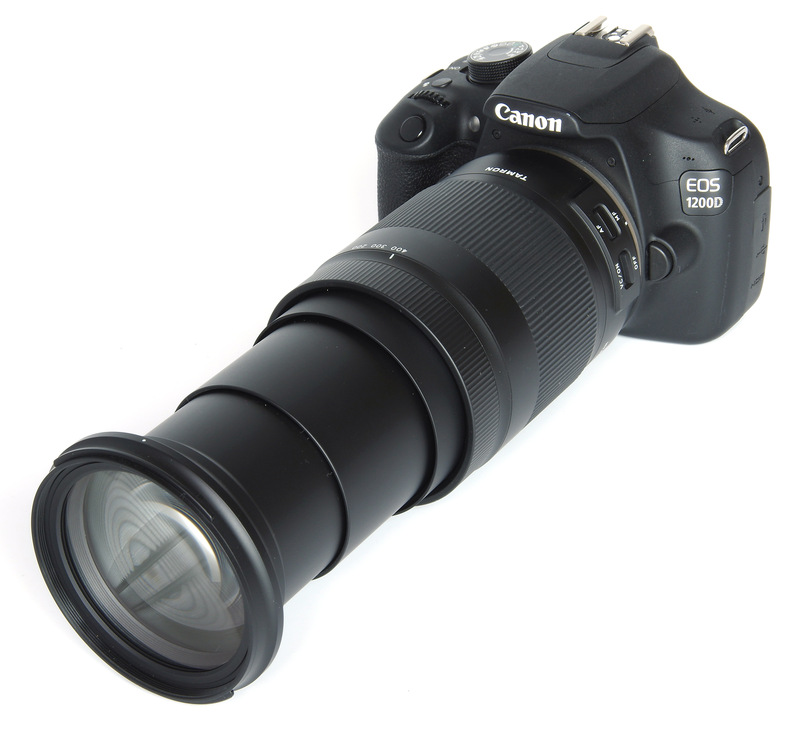 The Super zoom has always been a popular choice for travel and general photography, although until now there has been a limit on the telephoto end of the scale around 300mm. 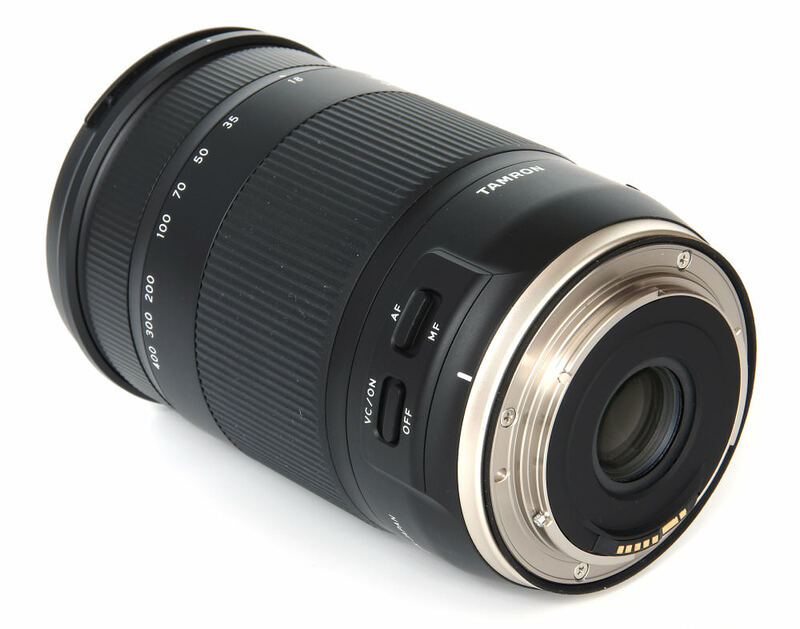 Now Tamron has pushed the technology beyond that, breaking the 300mm barrier and offering a staggering 18-400mm range. Ideal for everything from spacious interiors to distant wildlife, providing of course that the quality holds up. Let's have a close look to see how the lens handles and performs, using the Canon EOS 1200D APS-C format DSLR body. Intended for APS-C format in Canon and Nikon fits, the 35mm-format equivalent focal lengths are 29-640mm (Canon) and 27-600mm (Nikon) respectively. Considering the range, this is a very compact lens, weighing in at just 705g. A bayonet fit petal lens hood is provided. The filter thread is a reasonable 72mm. Immediately behind the front rim of the lens, we find the manual focusing ring. There is no option for manual adjustments if using AF. Closer in to the camera body is a wide zoom ring, focal lengths being clearly marked on the lens barrel. The tension of this ring is just about right, but there is no smoothness to it, the resistance being somewhat uneven as we zoom through the range. Closer to the camera three switches are located around the barrel. The lock switch enables the lens to be fixed at the 18mm setting, to avoid lens creep whilst carrying. There is no particular tendency for the lens to creep, but with wear maybe the lock will come to be needed. The AF/MF switch is self-explanatory. There is also a VC (Vibration Compensation) switch and this gives around 4 stops advantage. The image does lock when viewed, the VC adding a short delay before the shutter releases. Coupled with quite pedestrian AF, it does mean that rapid wildlife shooting could be difficult. Switching off VC would help in minimising this shutter lag. Optical formula is 16 elements in 11 groups. There are LD (Low Dispersion), ASL (Hybrid Aspherical) and moulded glass aspherical elements. The diaphragm consists of 7 circular blades. In the Nikon version, there is an electromagnetic diaphragm, compatible with more recent DSLRs. Focusing is down to 0.45m (1.5 feet), a maximum magnification of 1:2.9, not a macro distance but still usefully close. The lens has moisture resistance with several seals throughout the body. Finally, there is compatibility with the Tamron TAP-in console for connecting the lens to a PC. This can provide upgrades, plus adjustments to the AF and VC. The AF system is really quite slow, especially in Live View, so capturing wildlife may not be so easy. Otherwise, it balances nicely on the Canon EOS 1200D and operates efficiently enough. So let's now see how the performance holds up. 18mm sees the best of the lens. Centrally, sharpness is excellent from f/3.5 to f/8, very good at f/11 and f/16 and still good at f/22. The edges are very good from f/3.5 to f/11, good at f/16 but becoming soft at f/22. At 50mm central sharpness is excellent from f/5 to f/8, very good from f/11 to f/16, good at f/22 and fair at f/32. Edges are soft at f/5, good at f/5.6, very good at f/8 to f/16, softening beyond that at f/22 and f/29. 100mm starts off soft at f/5.6, is good by f/8 and becomes very good from f/11 to f/16. f/22 is still good, but f/22 and beyond are quite soft. Centrally at 200mm, f/6.3 starts off as very soft. By f/8 results are good, very good at f/11 and f/16, good at f/22 and soft at f/32 and f/40. The edges are soft from f/6.3 to f/11, good at f/16 and again soft at f/22 to f/40. 400mm shows a general softness to the images, but centrally it does raise to a good standard of sharpness at f/11 and f/16. At the edges, results are soft throughout. 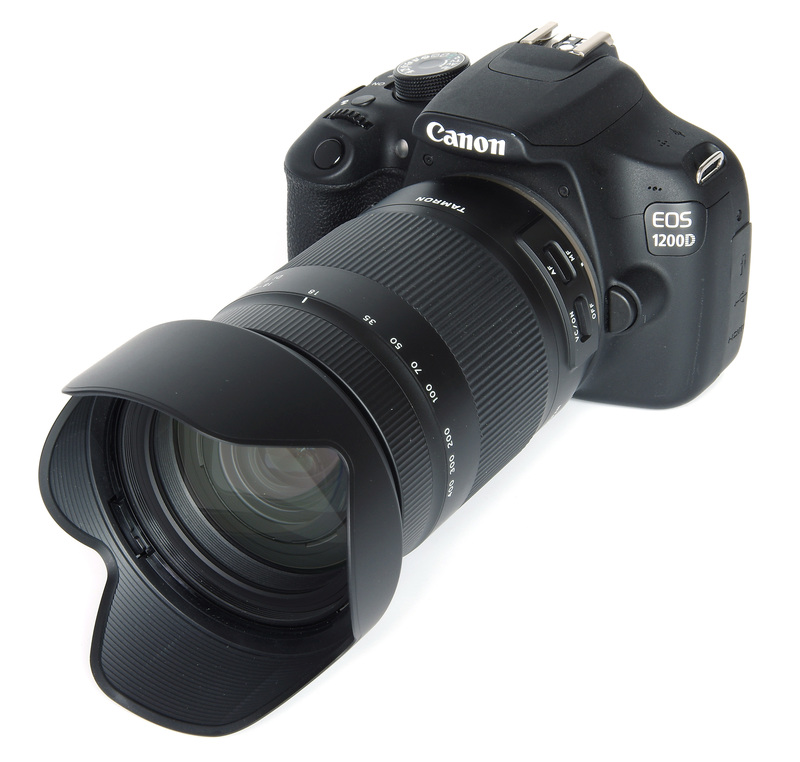 For this review, the lens was tested on a Canon EOS 1200D using Imatest. CA (Chromatic Aberration) is controlled centrally very well indeed. However, the edges throughout the range show very obvious fringing. This can be tackled in software as required. The -3.21% of barrel distortion measured at 18mm is quite noticeable. This moves towards pincushion and by 50mm it measures +2.77%. The pincushion distortion continues, measuring +2.14% at 100mm, +1.450% at 200mm and +1.17% at 400mm. Overall, this is a good set of figures for such a complex lens and of course, further correction can be made using software. Despite the complex construction and the 16 elements, resistance to flare is very good. The petal lens hood provided is suitable to prevent vignetting at the widest end and its efficiency will be compromised as we zoom into longer lengths. The only solution to this would be some sort of variable length hood, but the complexity of this lens is high enough without adding more complications. Flare is not a problem. Bokeh is very smooth and enhances those out of focus areas. This could be ideal for portraiture, where we want the background to be nicely diffused. 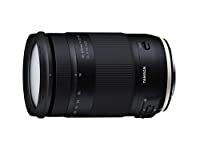 The Tamron 18-400mm f/3.5-6.3 Di II VC HLD is priced at £649 and it is on its own if we want a zoom that extends from 18mm to 400mm. For comparison, alternative superzooms would be the Nikon AF-S DX 18-300mm f/3.5-6.3 G ED VR (£629), SMC Pentax-DA 18-270mm f/3.5-6.3 ED SDM (£599), Sigma 18-300mm f/3.5-6.3 DC Macro OS HSM C (£369), Sony 18-250mm f/3.5-6.3 DT (£499) and the Tamron 18-270mm f/3.5-6.3 AF Di II VC PZD (£299). The new lens is only available in Canon and Nikon mounts, but the other marques are included as an overview of general pricing levels. 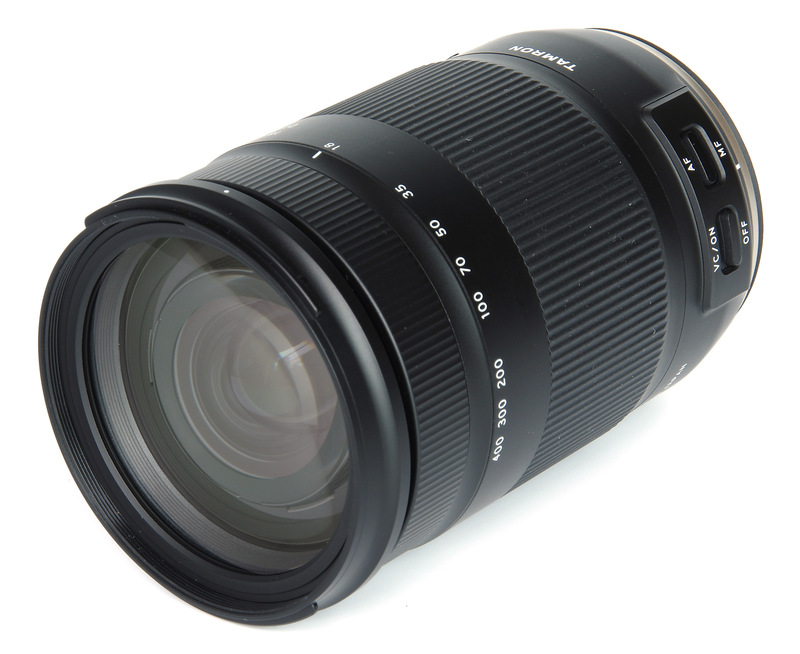 For more options have a look at the Top 12 Best Tamron lenses or the Top 10 Superzoom Lenses. For the Bridge camera user moving up to the larger format of a lightweight DSLR, or indeed for anyone wanting to travel light without constantly changing lenses, the appeal of an 18-400mm lens is plain enough. That Tamron has been able to do this in such a small lens is impressive, especially as the cost has been kept within reasonable boundaries. The lens is reasonably priced and offers a single lens solution for travel. For small prints and the web, there will be users who could be very happy with this but performance at 400mm is not sparkling. However, full marks to Tamron for pushing back the boundaries and breaking the 300mm barrier in superzooms. Is it fair to test this on Canon's worst body? I wonder the same! It seems this lens in other tests with Nikon D500 shows much better results at 400 mm. The results are expressed as the lens's ability to reproduce the potential of a given camera body, so they are not an absolute value but a relative one. The cameras available to make tests do vary so it's important to relate the figures to the resolution of the sensor. If you get figures quoted in a test using a D500 they will be very different to the figures for the 1200D, or indeed for any other camera. It would be possible to compare directly two 24MP camera results, for example.